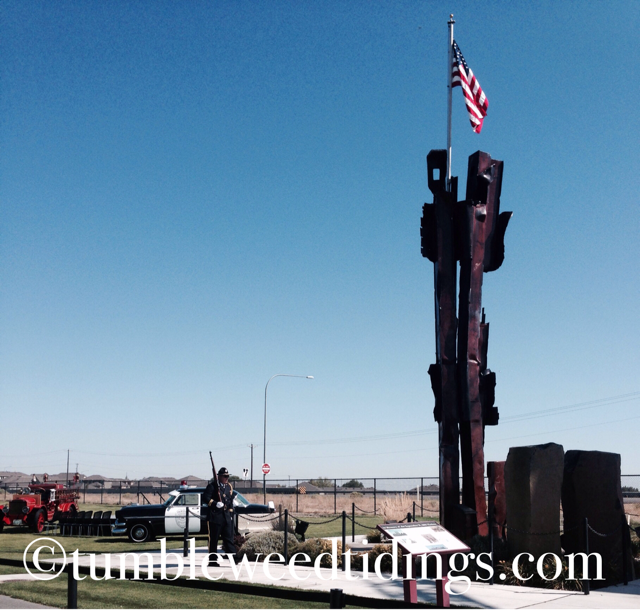 Thank you so much for stopping by Tumbleweed Tidings today! It is my hope that in this blog you will find inspiration, enjoyment, and useful information to make your life, home and meals just what you want. Today, like most Americans, we are taking pause to remember the terrible events of September 11, 2001. My husband Jim and I had moved to Hawaii on August 10th, just one month before that fateful day. After staying in a hotel for three weeks, we were house sitting in Kahala for friends who had offered their home to us while they were on the mainland and we were waiting for our new home to close. We awoke at our normal 5 am for Jim to get ready for his job at the Pearl Harbor Naval Shipyard. When he got out of the shower, he heard an announcement on the clock radio news that said the United States was being attacked. About the same time, I turned my cell phone back on and had a message from our flight attendant daughter Brooke saying to turn on the TV. When we saw the images of planes hitting the World Trade Center, their ultimate collapse, and as more details emerged, we felt a mixture of shock and overwhelming sadness. After hours of International flights forced to unexpectedly land in Honolulu, as well as tourists due to leave the island now stranded, we witnessed the true “Aloha Spirit” of our newly adoped home state kick into high gear. Island residents opened up their houses to strangers who had no place to stay, and hotels provided additional makeshift accomodations. With no planes flying in or out, Hawaii went several days without mail service or food deliveries, and the grocery stores were soon out of some basics. It dawned on me that while Oahu had almost one million residents, we really were in the most remote place on earth, dependent on others for our long term existence. 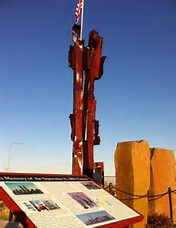 However compared to the ongoing nightmares in New York, Washington DC and Pennsylvania, and the personal stories of heroism and loss, our problems were small indeed..
After returning to Southeastern Washington in 2008, we discovered that our community of Kennewick was fortunate enough to recieve a piece of the World Trade Center, which is the centerpiece of our local September 11th memorial. Each year on this date, cermonies are held and visitors abound. Let us never forget! 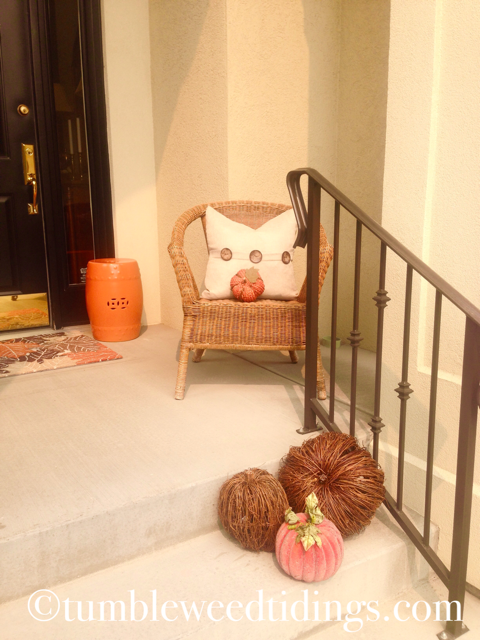 I realize I am probably a week or two late in sharing fall decor ideas, but at least now the kids are back in school and the weather here actually feels like fall is coming. For our front porch, I reused a wreath I’ve had for over ten years, but had updated it with some new flowers. After pricing out beautiful new wreaths, I decided to go the less expensive route and milk another year or two out of this one. 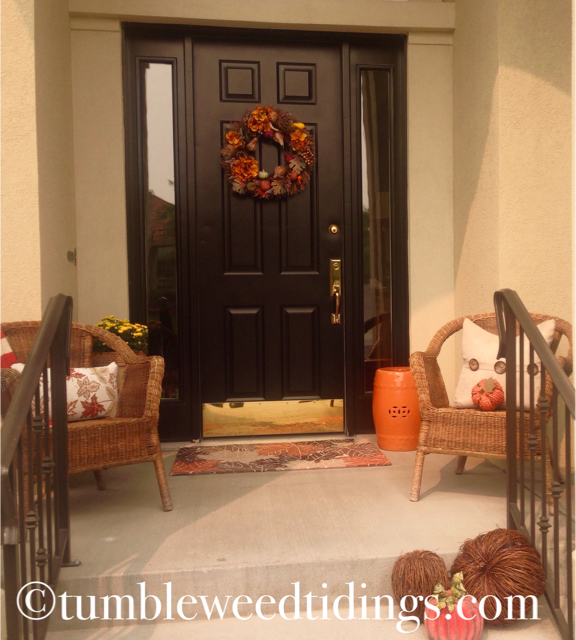 Happy with all of the money I saved on the wreath, I purchased a new front door mat and pillow in a leaf motif from TJ Maxx, and some mums at the grocery store. It is this very logic that has my husband scratching his head sometimes:) The rest of the pumpkins, pillows and the throw were from my fall stash. That and moving the newly painted orange ceramic garden bench from the back patio and it was done. Twenty minutes to a “fall is in the air” feeling. 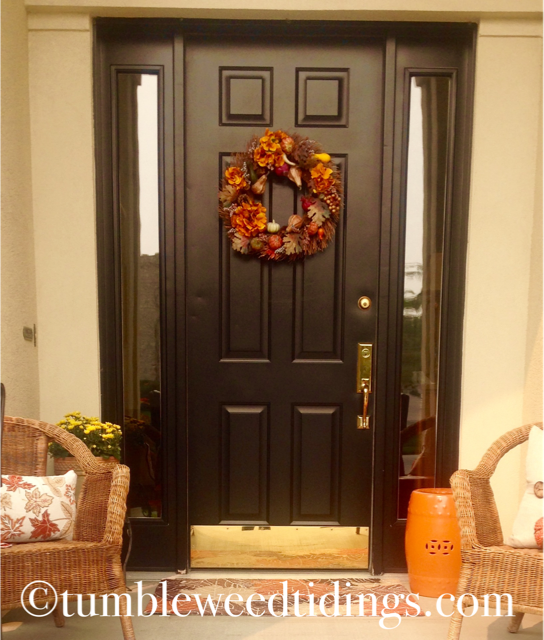 I’ll be back on Wednesday with Wha’ts Cooking, and later in the week with more fall decor ideas! Love your logic! Saving a little here and there makes the next shopping adventure a little more fun! Thank you! I love reinventing items I already have to free up funds for a new look. 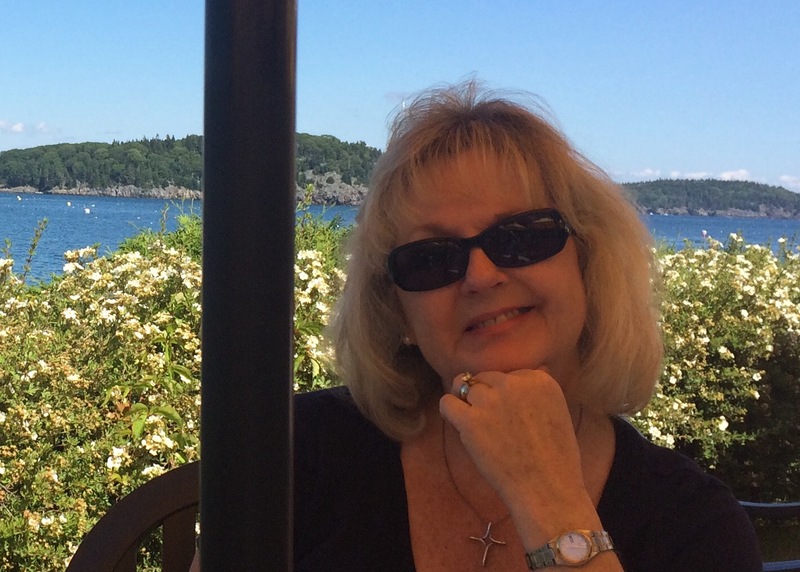 LOVE seeing the world through your eyes, Diane!!! Thank you! Your support means a lot.